I was at the Dimasalang flower market bright and early yesterday morning. I forgot, Tuesday is absolutely the worst day for flowers. The selection was abysmal and the prices of roses after the recent cold snap and before the ridiculous Valentine’s rose rush were exorbitant so I ended up with loads and loads of these blooms instead. Their name temporarily escapes my mind, but that isn’t important. They were a relative bargain in comparison with some of the stuff you can blow your budget on at the flower market. And I managed to make three large arrangements out of my purchases, and they sit in three different spots of our living/dining room as I type this. I promised some contests/giveaways so here goes. ALL YOU HAVE TO DO IS GUESS WHAT THE TOTAL COST OF THE THREE ARRANGEMENTS ARE. Leave a comment with the guess (Ex. PHP2,300 or PHP112) and make sure you use an email address that is active and where I can contact you. Only one entry per email address, but to increase your chances, you can ask all your family members or friends to post an answer and I will still consider that an acceptable entry. The answer that is closest to the actual amount will win two bottles of jam, for pick-up in an agreed location in Manila or from one of our branches in Cebu. I would offer to LBC it to you anywhere in the Philippines, but oddly, LBC doesn’t like bottles with semi-liquids in them like jam. If you live abroad you can play as well, but a relative of yours will have to pick up the goodies here in Manila or Cebu. I have been away too long. Guessing PHP 2000. 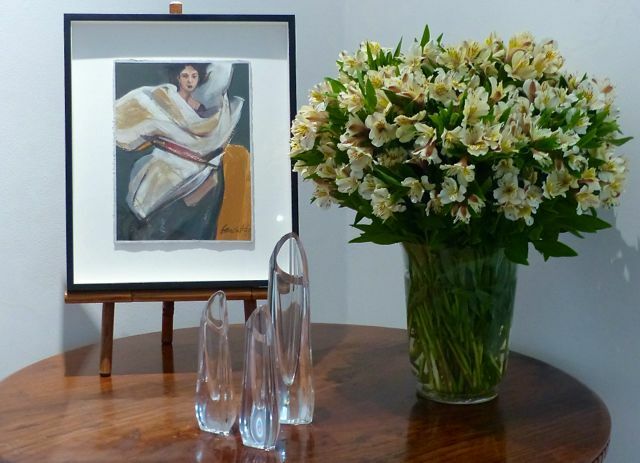 Moonshots…..won’t it be nice if MM auctioned his artwork in photos above? 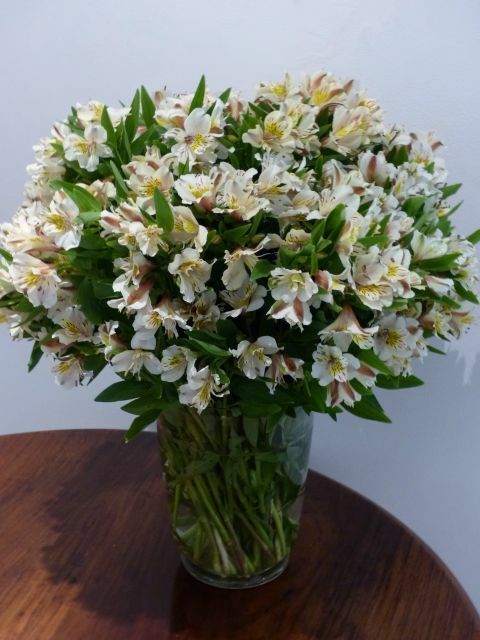 My wild guess for the long lasting three alstroemeria arrangements Php 540? Is that you MM with a camera behind the smoky glass window pointing the camera to someone across on the other side who has his/her camera aimed in your direction? Is the winner the closest without going over? P375. On my way to buy wheat bread now. P 900.00 is my guess, and I’m doing this because I am a sucker for fruit jams. 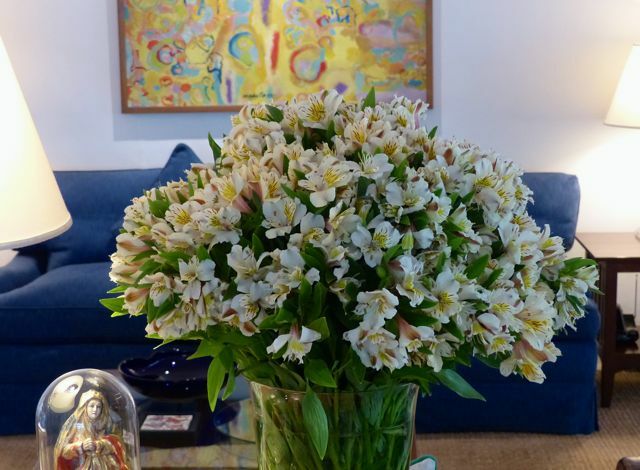 My guess is P480 and those are alstroemerias also called peruvian lily/lily of the incas or parrot lily. i’d say P520.00, and those are gourgeous flowers! My guess is P333. Hehehe 3 is my favorite number. P1,050 for 3 arrangements totalling maybe about 21 dozens of alstroemerias. My guess P675.00. I hope I get those delicious jams from sister. 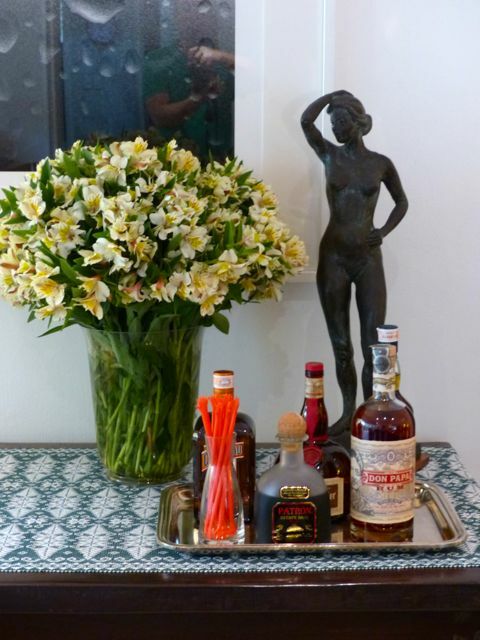 I want the contents of the tray with the last bouquet. I bought the same flower in Baguio few days back. It’s 15 pesos per bundle, assuming you got 3 bundles per arrangement, it’s 135 pesos. Let’s say 100% mark up, my guess is 270 pesos. @P525.00, and i have a stash of blue goat cheese that will be perfect with the jam. Happy New Year, Marketman and Sister! Hope your flight went smoothly and you arrived in good shape, Sister. Your Alstromeias are lovely in its simplicity, MM. Am joining the flower game for fun – my guess is PHP1140. Yes, they are Alstroemerias, a type of Lily. I bought a bunch 2 years ago when I visited Dangwa. My guess is 260.00 pesos. P660 for all three arrangements. P750 original price but with tawad, P700 na lang. Haha! Nothing like freebies to bring out 100 commenters in less than 18 hours… :) Keep guessing, no one has nailed it on the head, but a few are close. So if you want to put in another guess, just make sure you use another functioning email address… only ONE entry per valid email address. Thanks. Making a wild guess of Php 1,550.00/3 arrangements.. I should have paid more attention when I was at Dangwa last November! about PHP2,750 for the 3 arrangements? First time to comment. Cannot pass up on that jam. Php1,000 for the 3.
oops, thought the first one didn’t go through. My guess is P 420 for all three bunches. Hahahahaha! The best things in life are free, Mr.M! I want to join but I’m too far! No one from my family is in Manila or Cebu. Good luck to the lucky one! (after reading the january 15 post) my guess is P90.00! Oh MM, I believe its PHP950! This is probably a little low, but what the heck. I guess 60php. I’d say Php360 in all.